On February 20th, 2019 agents with the Iberia Parish Sheriff’s Office Special Investigation Unit and deputies of the St. Mary Parish Sheriff’s Office Narcotics Division, conducted an investigation into illegal narcotics activities by Sidney Bergeron. 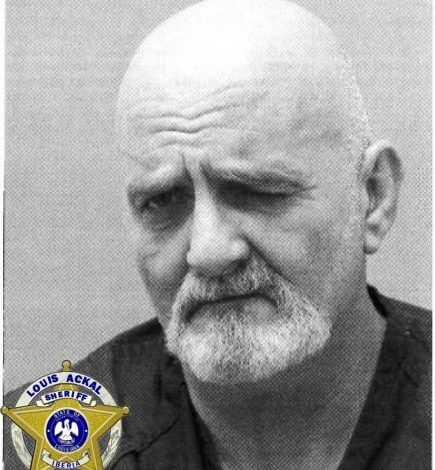 Agents made a traffic stop in Iberia Parish of Mr. Bergeron in his vehicle and located a .38 caliber pistol, a large quantity of illegal prescription pills, 162 grams of Methamphetamine, 28.9 grams of powder Cocaine, 2 grams Crack Cocaine, 32.7 grams of Marijuana, 5 grams Fentanyl, 12.2 grams of Heroin/Fentanyl mixture, and $2,321 in cash. Agents executed a search warrant at Mr. Bergeron’s residence where they located a stolen High Point semi-automatic pistol, a 12-gauge shotgun, 15 grams of Heroin, 45 grams of methamphetamine, items used to manufacture crack cocaine, and numerous items of drug paraphernalia were recovered. The total street value of the narcotics recovered is estimated to be approximately $40,000. Sidney Bergeron was bookend into the Iberia Parish Jail on 16 charges related to the Possession , Distribution and Manufacturing of Illegal Narcotics along with charges related to the possession of a stolen firearm by a convicted felon. No bond has been set at this time.